Nissan Navara Performance, Engine, Ride, Handling | What Car? The Navara is flawed to drive, which is no surprise given the old-school ladder chassis that lies beneath its heavy body, and no pick-up is as good to drive as a traditional large SUV. The Navara’s maximum muscle comes in early on the higher-powered diesel engine we’ve tried, and it pulls hard from low revs in all of its six gears. Good flexibility counts for more with these pick-ups, which will often be hauling huge loads, not going for a better lap time. However, the Navara’s notchy manual gearbox isn’t a pleasure to use – and its short gearing ensures it’s used often - while its engine grumbles to life and stays vocal both under load and at a cruise. 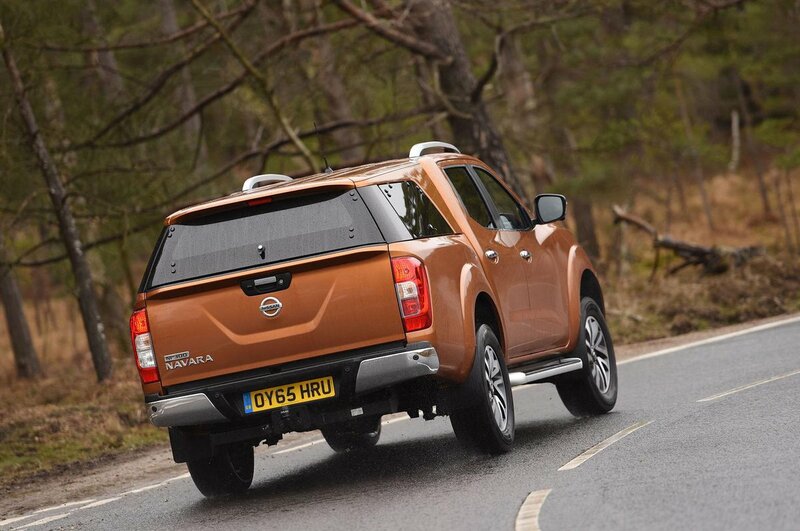 Wind noise is also a problem at speed, although the Navara suppresses tyre roar fairly well. 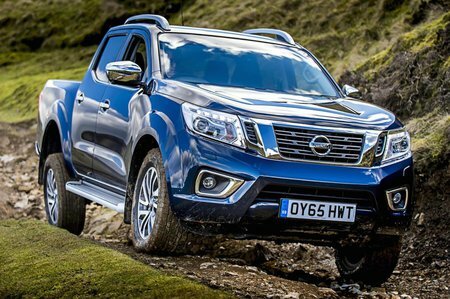 With its suspension set-up designed to cope with heavy loads and arduous off-road driving, the Navara isn’t fun to drive hard around corners. It has more advanced rear suspension in Double Cab form than the majority of pick-ups, but even then it leans a long way in bends and pitches under braking, while its steering is heavy and slow. Also, battered town roads taken at low speed are a constant problem, with plenty of unsettled progress and jostled passengers. There’s a difference on the motorway, where the Nissan is more composed over expansion joints and potholes.